On World Hearing Day — March 3 — the World Health Organization will draw attention to the importance of early identification and intervention for hearing loss. According to WHO, 466 million people have disabling hearing loss (432 million adults and 34 million children) around the world and that number continues to rise. And a recent study by Johns Hopkins University found that the number of Americans aged 20 and older who suffer from hearing loss will double over the next 43 years. Still, many people live with unidentified hearing loss, often failing to realize that they are missing out on certain sounds and words. Dr. David Myers, professor of psychology, is the author of the book, A Quiet World: Living with Hearing Loss. In it, Myers writes of his personal experience with hearing loss, interspersed with information about the psychology of hearing and new hearing technologies. Myers is an advocate of Hearing Loop, an assistive listening system, and he recently wrote “Getting People with Hearing Loss in the Loop” for Perspectives on Psychological Science. 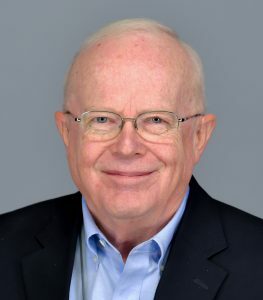 He recently served four years as a representative of Americans with hearing loss on the advisory board of NIH’s National Institute on Deafness and Other Communication Disorders.